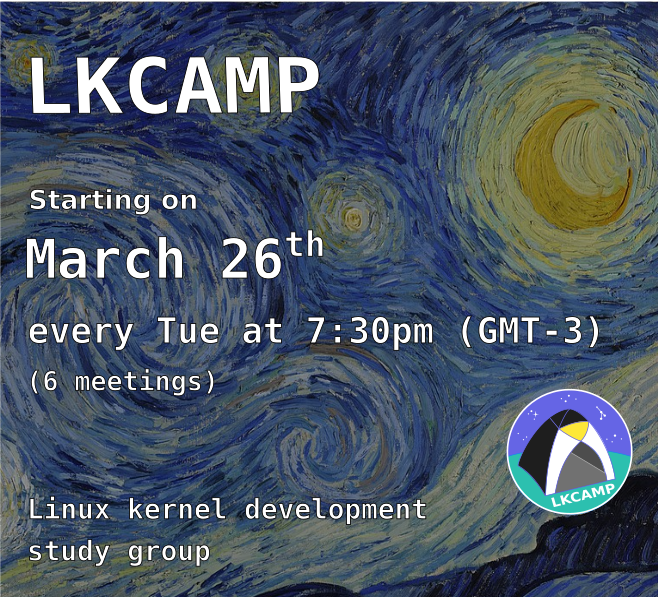 LKCAMP is a Linux Kernel study group open for everyone to participate. Please, see About and Documentation pages for more information and how to get started. We are all volunteers, any help is welcomed. The code of this page is available at https://gitlab.com/lkcamp If you want to help us to improve this page, please send us Pull Requests.